Selene made a big splash when it reinvented its long-range yacht starting with a 92-footer. 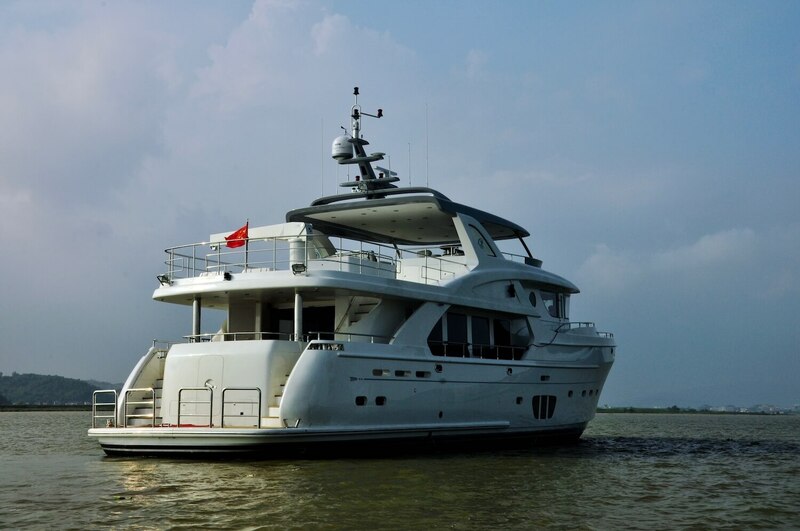 The Selene 92 Ocean Explorer represents a collaboration between naval architect Howard Chen and Dutch designer Guido de Groot. The first hull was delivered to her Canadian owners in 2016. While it includes Selene’s hallmarks of a raised pilothouse, Portuguese bridge and bulbous bow, de Groot imbued it inside and out with an unmistakable contemporary vibe. Fresh exterior styling with enlarged windows brings plentiful light and airiness to an uncluttered interior. De Groot applied a distinctive layer of luxury to the long-range cruiser, with an interior framed in walnut and mahogany, contrasted by light leather, Carrera marble, and stainless steel accents. At its cruising speed of 10 knots, powered by twin 475-hp MTU engines, the 92 can go 3,500 nautical miles, so no cruising ground will be out of reach.